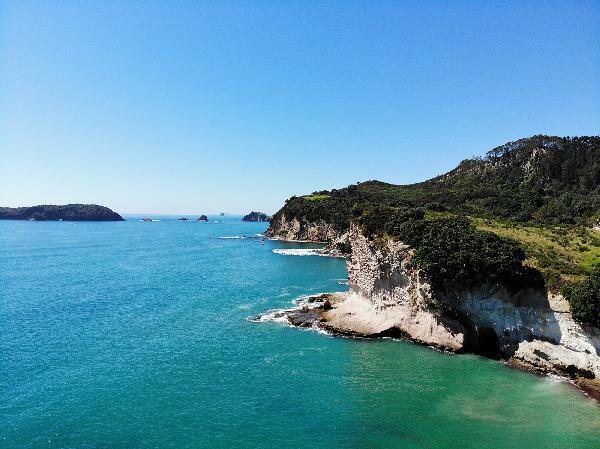 Spend your day exploring the wild and beautiful Coromandel. 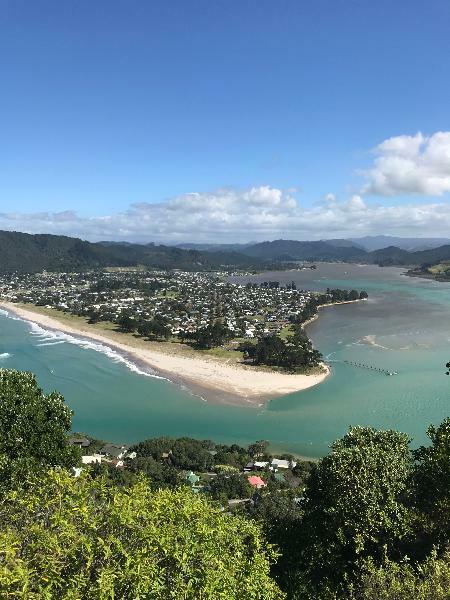 Summit Mount Paku for amazing views. Sit back, relax and enjoy the ride as we travel through the country and watch the sun rise over rural New Zealand. The early start allows us to stop for a coffee, and still arrive in the Coromandel with the day to explore. 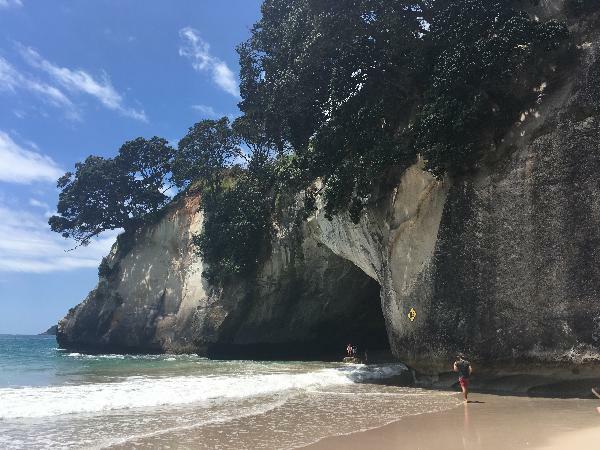 10.30am - 1.00pm: Hike the coastal track into the majestic Cathedral Cove, swim, sunbathe or just relax and take photos in this beautiful bay. 1.00pm -2.00pm: Lunch stop at one of the local cafes or breweries in the area. Options range from $12 - $25. You are welcome to bring a packed lunch. After an epic day of hiking, swimming and spa-ing, with stunning beaches and views all day long, we are sure you'll sleep well. Location: We pick you up from your Central Auckland Accommodation, please state your pickup address as you proceed through checkout. 2 Hours at Cathedral Cove. This allows enough time to do the 40min walk each way and have time to swim at take photos at the beach. Visit to Hot Water Beach. We provide shovels so you can dig your own spa. Tours most suitable for ages 20-40. All ages 17 and under must be accompanied by a parent or legal guardian. Day Trip involves walking so a decent level of fitness is required. 2 Pax minimum required for tour to take place. 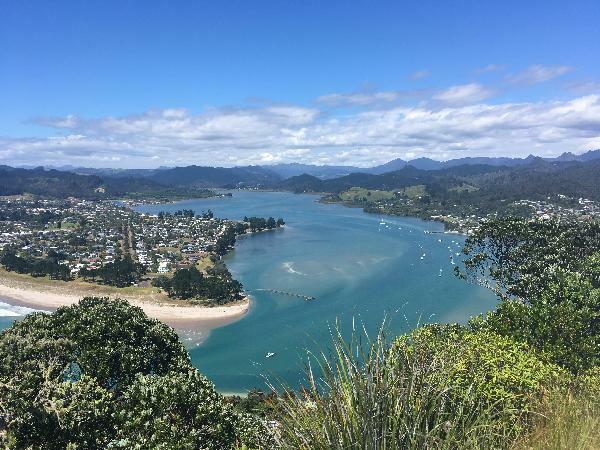 Great self-guided way to see Coromandel! The best way to spend your money! I absolutely loved the experience and found it very carefree and personal. The small group was great and everyone made some new friends. The tour guide was very friendly, caring and down to earth. Of course, the location was incredible. A must see on your trip to NZ. Everyone should do this day trip with Clay. So chill and personable, knowledgeable about the areas you visit and a good laugh. The trip itself is breathtaking and you get to see a lot of natural beauty. Highly recommend. Excellent Trip this is my 3rd time to NZ and always enjoy visiting the Coromandel the views are just breathtaking!! A trip I would definitely recommend anyone to do lots of amazing photos to take. This day trip was a cool experience. Clay helped me make a very wonderful day trip. So kind and friendly. I had a great time in the very nice beach. I absolutely recommend. Your message has been sent to Coromandel Day Trip (Cathedral Cove and Hot Water Beach). You should hear from them shortly. 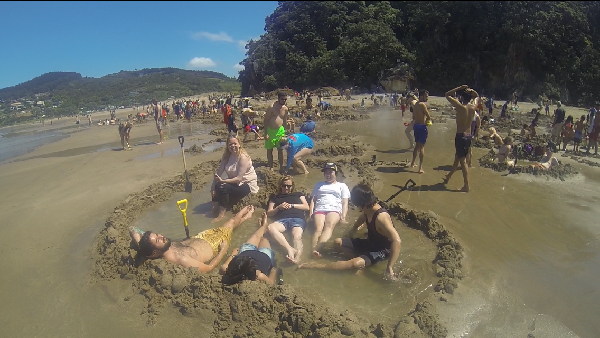 Please note: all responses will come directly from Coromandel Day Trip (Cathedral Cove and Hot Water Beach), and not the team at Bookme.